This article is about the 2017 music festival. For the annual literary festival, see Frye Festival. For other uses, see Fyre (disambiguation). Fyre Festival was a failed "luxury music festival" founded by Billy McFarland, CEO of Fyre Media Inc, and rapper Ja Rule. It was created with the intent of promoting the company's Fyre app for booking music talent. The festival was scheduled to take place from April 28–30 and May 5–7, 2017, on the Bahamian island of Great Exuma. The event was promoted on Instagram by "social media influencers" including socialite and model Kendall Jenner, as well as models Bella Hadid and Emily Ratajkowski, many of whom did not initially disclose they had been paid to do so. During the Fyre Festival's inaugural weekend, the event experienced problems related to security, food, accommodation, medical services and artist relations, resulting in the festival being postponed indefinitely. Instead of the luxury villas and gourmet meals for which festival attendees paid thousands of dollars, they received prepackaged sandwiches and FEMA tents as their accommodation. As a result, the organizers are the subject of at least eight lawsuits, several seeking class action status, and one seeking more than $100 million in damages. The cases accuse the organizers of defrauding ticket buyers. On June 30, 2017, the United States Attorney for the Southern District of New York charged McFarland with one count of wire fraud. In March 2018, he pleaded guilty to one count of wire fraud to defraud investors and a second count to defraud a ticket vendor. On October 11, 2018, McFarland was sentenced to six years in prison and ordered to forfeit US $26 million. Two documentaries about the events of the festival were released in 2019: Hulu's Fyre Fraud, and Netflix's Fyre: The Greatest Party That Never Happened. An aircraft (B737) featuring Fyre Festival branding, used to transport attendees to the festival. The festival was organized by Billy McFarland and Ja Rule, to promote the Fyre music booking app. Ja Rule had come to know McFarland through regular visits to events McFarland hosted at his previous venture, Magnises. During a flight to the Bahamas, McFarland and Ja Rule's private plane touched down on a deserted island which they later discovered was Norman's Cay, the former private island of Carlos Lehder Rivas, a kingpin of the Medellín Cartel. McFarland arranged to lease the island from the current owners on the strict condition that no reference be made to the Pablo Escobar connection. The island footage with the hired supermodels used for the Festival's promotional material was all shot on Norman's Cay, and planning for the festival went ahead. In early 2017, McFarland violated the terms of his contract when promotional video for the festival was released on social media advertising Norman's Cay as "once owned by Pablo Escobar"; the owners immediately cancelled the arrangement. A frantic search for a new island venue ensued. After several small islands that seemed like likely venues were turned down, the Bahamian government gave McFarland a permit to use a site set aside for development at Roker Point (23°38′06″N 75°55′08″W﻿ / ﻿23.6350115°N 75.9188489°W﻿ / 23.6350115; -75.9188489) on Great Exuma, just north of the Sandals Resort. Material released on social media continued to promote the falsehood that the Festival was being hosted on Pablo Escobar's private island, with maps of the site altered to make it appear as if Roker Point was an island unto itself. On December 12, 2016, Kendall Jenner, Emily Ratajkowski and other influencers paid by Fyre, simultaneously posted to their Instagram feeds an image of an orange square with a stylized logo of flames. Clicking the logo opened a promotional video showing Bella Hadid and other models represented by her agency running around a tropical beach. Text with the video promised "an immersive music festival ... two transformative weekends ... on the boundaries of the impossible". This was the beginning of the Fyre Festival's promotional campaign. An investor, fashion executive Carola Jain, reportedly arranged for Fyre to receive a $4 million loan, which the company used most of to rent luxurious offices in Manhattan's Tribeca neighborhood. With no experience staging an event of the proposed festival's scale, McFarland began approaching companies that did, and he was reportedly taken aback when they told him the event would cost at least $5 million, perhaps even $12 million to stage in the time available as he had promised. He and his associates at Fyre believed it would cost far less, and continued with their plans under that assumption. They tried to do things themselves where possible; McFarland supposedly learned how to rent the stage by doing a Google Search. Scheduled for two weekends in April and May 2017, the event sold day tickets from $500 to $1,500, and VIP packages including airfare and luxury tent accommodation for US$12,000. Customers were promised accommodation in "modern, eco-friendly, geodesic domes" and meals from celebrity chefs. The final advertised lineup was for more than 30 groups, including Pusha T, Tyga, Desiigner, Blink-182, Major Lazer, Disclosure, Migos, Kaytranada, Lil Yachty, Matoma, Klingande, Skepta, Claptone, Le Youth, Tensnake, Blond:ish, and Lee Burridge. While the festival's promotional material kept claiming that the festival would be held on a remote private island that once belonged to drug trafficker Pablo Escobar, workers were busy preparing Roker Point for the festival, scattering sand over its rocks and improving a road to a nearby beach, where they built some cabanas and installed swing sets. On the mainland, 5,000 tickets had been sold and an air service was hired to charter festival-goers from Miami. A medical-services company and caterer were also hired, but the latter withdrew a few weeks before the festival. With only two weeks to go, a new catering service with a $1 million total budget was hired, drastically reduced from the $6 million originally allocated to provide for what was promised as "uniquely authentic island cuisine...local seafood, Bahamian-style sushi and even a pig roast". In March 2017, Fyre also hired a veteran event producer, Yaron Lavi, who saw that it was impossible to hold the sort of event McFarland and Ja Rule envisioned at the site. He assumed they would postpone the event to November as they had been discussing since they were not ready, but after Fyre told him they would stage the event in the spring anyway, claiming weather would ruin the event, Lavi told them to abandon plans for temporary villas and instead erect tents, the only accommodation that could be delivered in the time remaining. Lavi advised Fyre to make this clear to those who had already bought tickets, as otherwise it would be damaging to their brand. He says the company assured him that an email was being prepared, but he is not sure if it was sent. Comcast Ventures considered investing $25 million in the app, which McFarland apparently hoped would allow him to finance the festival, but declined days beforehand. Reportedly, McFarland had valued Fyre Media at $90 million, and was unable to provide sufficient proof of that when Comcast requested it. Writing for New York magazine, one of the event organizers later noted that since at least mid-March there were significant problems with the planning, and at one point it was agreed to outright cancel the 2017 festival in favor of working to perfect a 2018 one. These plans, however, were revoked at the last minute with the decision to go on with the event as planned. "Let's just do it and be legends, man," one of the organizers is reported to have said. Later that month, Page Six began reporting rumors that the festival organizers were too disorganized and "in over their heads." After the Comcast deal fell through, McFarland obtained some temporary financing for Fyre through investor Ezra Birnbaum that required the company repay at least US$500,000 of the loan within 16 days. Around this same time, Fyre informed ticket-holders that the event would be "cashless (and cardless)," and encouraged attendees to put up to $1,500 in advance on a digital Fyre Band to cover incidentals, according to one lawsuit. Each attendee would be issued an RFID-equipped, smartwatch-like ID to use in-island. This was despite advisors warning McFarland that such digital bracelets would be useless because of the poor Wi-Fi connection at the site. McFarland, who signed the email, suggested that attendees upload $300–500 for every day they planned to attend. About $2 million was uploaded to these bracelets, 40% of which, according to a lawsuit later filed by Birnbaum, was used by McFarland to pay off the short-term loan. Early in the morning of April 27, heavy rain fell on Great Exuma which soaked the open tents and mattresses piled out in the open air for guest arrivals later that day. The first flights from Miami International Airport to Exuma International Airport, operated by Swift Air and Xtra Airways, landed at 6:20 a.m. That afternoon, Blink-182 announced that it was withdrawing from the festival, stating in a Twitter post that: "We're not confident that we would have what we need to give you the quality of performances we always give our fans." Initial arrivals were brought to an "impromptu beach party" at a beachside restaurant, where they were plied with alcohol and kept waiting for around six hours while frantic preparations at the festival site continued. Later arrivals were brought directly to the grounds where the true state of the festival's site became apparent. Festival-goers were dropped off at the production bungalow where McFarland and his team were based so they could be registered, but after hours of long lines the process broke down and turned into a free-for-all as people rushed to claim their own tents. Around nightfall, a group of local musicians took to the stage and played for a few hours, the only act to perform at the event. In the early morning, it was announced that the festival would be postponed and that the attendees would be returned to Miami as soon as possible. Reports from the festival emerged of various problems, including the mishandling or theft of guests' baggage, scattered disaster relief tents with dirt floors, some with mattresses that were soaking wet, a lack of housing assignments causing guests to leave with no place to sleep, an unfinished gravel lot, a lack of medical personnel or event staff, no cell phone or internet service, portable toilets, no running water, inadequate and poor quality food (including cheese sandwiches served in foam containers), and heavy-handed security. Many attendees were reportedly stranded, as flights to and from the island were cancelled after a government order that barred any more planes from landing. The first flight back to Miami boarded at 1:30 a.m. on April 28, but was delayed for hours due to issues with the flight's manifest. It was cancelled after sunrise and passengers were locked in the Exuma Airport terminal with no access to food or water and no air conditioning; a passenger recalled that at least one person passed out from the heat and had to be hospitalized. The flight eventually left Exuma that morning, and more charter flights to Miami departed from Exuma throughout the day. With US$3,100,000 (equivalent to about $3,330,000 in 2018) million in venture capital to date and 25 employees, McFarland also founded a card company called Magnises in 2013, which promised members paying an annual $250 fee that they could "unlock their cities and take their lives to the next level", including "private members-only concerts, tastings with notable chefs, and exclusive art previews at top galleries". The Washington Post reported that "some of those benefits never materialized or were far from what was advertised". "They send the same email for every problem, but it's like fill-in-the-blanks for what the problem is", a member reported to Business Insider. Magnises reportedly became profitable in 2015. The Washington Post also reported that McFarland "has a history of overpromising" in his previous business ventures, and cited multiple examples. One example is that after McFarland sold VIP tickets to the musical Hamilton for $430, the tickets were cancelled at the last minute. In a complaint to the Better Business Bureau, one customer seeking a refund reported getting no response to multiple queries over a month and a half. The event was promoted on Instagram by Kardashian family socialite Kendall Jenner (who was paid $250,000 and has since deleted the post), Bella Hadid, Emily Ratajkowski, Hailey Baldwin, Elsa Hosk, Chanel Iman, Lais Ribeiro, Alessandra Ambrosio, Shanina Shaik, Nadine Leopold, Rose Bertram, Gizele Oliveira, Hannah Ferguson, and other niche-actresses and media personalities. Ratajkowski was reportedly the only actress or model to use the hashtag #ad, but has also since deleted the post. Only later was it reported that Jenner and the others had been paid to make the posts, something they were required under federal law to disclose. The Federal Trade Commission said #ad only worked if at the beginning of paid posts, and that the hashtag alone was not a sufficient disclaimer. Hadid has acknowledged and apologized for participating in the promotion. Baldwin revealed that she donated her entire payment to charity after seeing the aftermath of the event. Ja Rule posted a note on Twitter that said "it was NOT A SCAM" and "this is NOT MY FAULT". Fyre Festival set out to provide a once-in-a-lifetime musical experience on the Islands of the Exumas. Due to circumstances out of our control, the physical infrastructure was not in place on time and we are unable to fulfill on that vision safely and enjoyably for our guests. At this time, we are working tirelessly to get flights scheduled and get everyone off of Great Exuma and home safely as quickly as we can. We ask that guests currently on-island do not make their own arrangements to get to the airport as we are coordinating those plans. We are working to place everyone on complimentary charters back to Miami today; this process has commenced and the safety and comfort of our guests is our top priority. The festival is being postponed until we can further assess if and when we are able to create the high-quality experience we envisioned. We ask for everyone's patience and cooperation during this difficult time as we work as quickly and safely as we can to remedy this unforeseeable situation. We will continue to provide regular updates via email to our guests and via our official social media channels as they become available. Many news organizations compared the chaos to William Golding's novel Lord of the Flies and Suzanne Collins's novel The Hunger Games. The Bahamas Ministry of Tourism apologized on behalf of the nation, and denied having any responsibility for how the events unfolded. Fyre Festival announced that it would offer all attendees a choice between a full refund or VIP tickets to the following year's festival. As a result of the festival, McFarland and Ja Rule are the subject of a $100 million lawsuit in the state of California. It was filed on behalf of plaintiff Daniel Jung by entertainment lawyer Mark Geragos, who is seeking class action status for the lawsuit with more than 150 plaintiffs. Per the filing, Jung's lawsuit alleges fraud, breach of contract (part of this was the decision from organizers to go cashless so no one had money for taxis), breach of covenant of good faith (part of this was due to the "cheese sandwich" meme and the airport incident) and negligent misrepresentation. Ben Meiselas of Geragos's firm pledged to hold "all those who recklessly and blindly promoted the festival" accountable, which was interpreted as being directed at Jenner, Hadid, and other social media influencers. A Geragos lawyer stated Fyre Festival sent cease and desist letters to whistleblowers. A second class action lawsuit against Fyre Media, McFarland, Ja Rule, and the event promoters identified as "Does 1-100" was filed in Los Angeles by personal injury lawyer John Girardi on behalf of three attendees. The plaintiff alleges that they deceived patrons into attending the festival by paying more than 400 social media personalities and celebrities to promote it. The parties are accused of breach of contract, negligent misrepresentation, and fraud. A Bloomberg reporter filed a FOIA request to the FTC regarding their Instagram knowledge, after the second class action lawsuit zinged[clarification needed] the event promoters. A third lawsuit was filed in New York federal court against Ja Rule, McFarland, Fyre Media, and chief marketing officer Grant Margolin. Plaintiffs Matthew Herlihy and Anthony Lauriello accused the festival organizers of "false representations, material omissions... negligence, fraud, and violations of consumer protection statutes." "Upon the arrival of guests to the island of Great Exuma for the first weekend, the island was lacking basic amenities, was covered in dirt, and guests had to sleep in tents with wet blankets," the suit claims. "There were no communal showers or bathrooms as promised; instead there were porta potties (only about one for every 200 yards) that were knocked down and only three showers although there were hundreds of people arriving." On May 4, another lawsuit was filed by National Event Services (NES), which provided medical services for the festival and claimed to have suffered $250,000 in damages, alleging breach of contract, fraud, and negligence by the organizers. The suit alleged that Fyre "failed and/or refused" to buy cancellation insurance and "failed to secure a contract with a medical evacuation helicopter or plane." NES employees reported that the local medical clinic was closed and the accommodation was "uninhabitable," with "bug infestation, bloodstained mattresses, and no air conditioning." Also in May, festival attendee Andrew Petrozziello filed a lawsuit in New Jersey federal court alleging that the organizers violated the state's consumer fraud act and committed breach of contract. A sixth lawsuit, filed in Florida federal court as a class action suit, alleged violations that include fraud, negligence, and breach of contract. The plaintiffs, Kenneth and Emily Reel, accused the organizers of sending cease and desist letters to people who criticized the festival on social media. A seventh lawsuit was filed in Manhattan federal court as a class action suit on behalf of Sean Daly and Edward Ivey. In addition to the infractions mentioned in the other lawsuits, this suit alleges unjust enrichment and violation of New York state business law, claiming that the organizers continued to offer VIP upgrades and opportunities to deposit money into the "Fyre Band" payment system after the festival had been canceled. An eighth lawsuit was filed in Suffolk County Superior Court in Boston on behalf of ticketing vendor Tablelist. The company is alleging that the festival organizers and financial backers committed breach of contract and fraudulently deceived Tablelist and ticket purchasers. Tablelist is seeking $3.5 million to refund customers, as well as damages resulting from loss of business after being forced to lay off 40% of their workforce to focus on the litigation. On July 3, 2018, two North Carolina attendees, Seth Crossno and Mark Thompson, were awarded $5 million in damages. The judgment was granted against Billy McFarland in absentia after he failed to respond to the court proceedings. Ja Rule was initially named as a co-defendant, but was later removed from the suit after an undisclosed private agreement with the two attendees' attorney. Crossno, a blogger whose live-tweeting of the festival received heavy media coverage, declared he purchased the Fyre Festival trademark following its abandonment by the original organizers. On May 21, 2017, The New York Times reported McFarland and his associates were under an active federal criminal investigation by the Federal Bureau of Investigation for mail fraud, wire fraud, and securities fraud. The case was overseen by the United States Attorney for the Southern District of New York. On June 30, 2017, McFarland was arrested and charged with one count of wire fraud. On March 6, 2018, McFarland pleaded guilty to one count wire fraud in what the U.S. Justice Department called a scheme to defraud investors, as well as a second count of wire fraud related to a scheme to defraud a ticket vendor. McFarland was ordered to repay $26 million to investors. On July 24, 2018, the Securities and Exchange Commission (SEC) announced that McFarland, two companies he founded, a former senior executive, and a former contractor agreed to settle charges arising out of an extensive, multi-year offering fraud that raised at least $27.4 million from over 100 investors. McFarland admitted to the SEC's allegations against him, agreed to a permanent director-and-officer bar, and agreed to disgorgement of $27.4 million. Grant H. Margolin, Daniel Simon, Fyre Media, and Magnises, Inc. agreed to the settlement without admitting or denying the charges. Margolin has agreed to a seven-year director-and-officer bar and must pay a $35,000 penalty, and Simon has agreed to a three-year director-and-officer bar and must pay over $15,000 in disgorgement and penalty. The settlements are subject to court approval. On October 11, 2018, McFarland was sentenced to six years in prison and ordered to forfeit US $26 million for wire fraud. He is currently incarcerated at Federal Correctional Institution, Otisville, in Orange County, New York. In 2019, two documentary films were released that covered the Fyre Festival and McFarland. Fyre Fraud, an American documentary film directed by Jenner Furst and Julia Willoughby Nason, premiered on January 14, 2019, on Hulu. Fyre Fraud is described as a "true-crime comedy bolstered by a cast of whistleblowers, victims, and insiders going beyond the spectacle to uncover the power of FOMO and an ecosystem of enablers, driven by profit and a lack of accountability in the digital age." The film was met with a positive response from critics upon its premiere. On the review aggregation website Rotten Tomatoes, the series holds a 73% approval rating with an average rating of 6 out of 10 based on 22 reviews. The website's critical consensus reads, "In the battle over Fyre Festival content, Fyre Fraud comes out swinging with a questionable interview of conman Billy McFarland and a thoughtful exploration of nefarious social strategy." Metacritic, which uses a weighted average, assigned the film a score of 66 out of 100 based on 12 critics, indicating "generally favorable reviews." 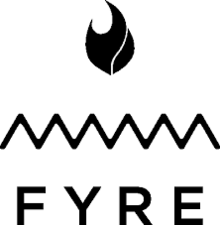 On January 18, 2019, Netflix released the film Fyre. Directed by Chris Smith, the film features interviews with event organizers and festival attendees. Like Fyre Fraud, the film received positive reviews. On Rotten Tomatoes, the film holds a 92% rating, with an average rating of 7.7 out of 10, based on 60 reviews. On Metacritic, the film holds a score of 76 based on 25 critical reviews. ^ a b c d e Bluestone, Gabrielle (April 29, 2017). "A National Punchline". Vice. Retrieved May 1, 2017. ^ a b c Coscarelli, Joe; Ryzik, Melena (April 28, 2017). "Fyre Festival, a Luxury Music Weekend, Crumbles in the Bahamas". New York Times. ^ a b "Manhattan U.S. Attorney Announces Charges Against Individual For Defrauding Investors In Digital Media Company". justice.gov. Retrieved July 1, 2017. ^ "Hulu Debuts Fyre Festival Doc Days Before Rival Netflix Project". The Hollywood Reporter. Retrieved January 14, 2019. ^ "Netflix's 'Fyre' shows how fraud built and doomed Fyre Festival". Engadget. Retrieved January 10, 2019. ^ Cohn, Warren H. (February 25, 2019). "How Social Media Led To The Rise And Fall Of The Fyre Festival". Forbes. ^ "Norman's Cay: Playground for Drug Smugglers". PBS/WGBH Educational Foundation/Frontline. Retrieved February 4, 2019. For four years it was a drug smuggling hub and tropical hideaway for Medellin cartel kingpin Carlos Lehder and associates. ^ a b c d e f g h Fyre: The Greatest Party That Never Happened. Netflix. 2019. ^ Aswad, Jem; Trakin, Roy (January 18, 2019). "Fyre Festival Documentaries: The 10 Most Outrageous Moments". Variety. Retrieved February 1, 2019. ^ a b c d e f g h i j Burrough, Bryan (June 2017). "Fyre Festival: Anatomy of a Millennial Marketing Fiasco Waiting To Happen". Vanity Fair. Retrieved August 9, 2017. ^ Wamsley, Laurel (April 28, 2017). "Paradise Lost: Luxury Music Festival Turns Out To Be Half-Built Scene Of Chaos". NPR. Retrieved April 28, 2017. ^ Spence, Shay (April 28, 2017). "'Literally Bread, Cheese, and Salad': How Fyre Festival-Goers Were Duped After Promise of Celeb Chef Meals". People.com. ^ Case, Jen (April 6, 2017). "Fyre Festival in Bahamas Releases Final Lineup". EDMLife.com. Retrieved February 7, 2019. ^ Joe Coscarelli & Melena Ryzik (April 28, 2017). "Fyre Festival, a Luxury Music Weekend, Crumbles in the Bahamas". NY Times. Retrieved February 5, 2019. ^ Mosendz, Polly (May 4, 2017). "Comcast Rejected Funding Days Before Doomed Fyre Festival". Bloomberg Businessweek. Retrieved May 5, 2017. ^ a b Gordon, Chloe (April 28, 2017). "I Worked at Fyre Festival. It Was Always Going to Be a Disaster". The Cut. Retrieved February 5, 2019. ^ Mara Siegler (April 17, 2017). "Are Fyre Festival organizers in over their heads?". Page Six. Retrieved April 29, 2017. ^ "Fyre Festival and the Power of Digital Marketing". January 25, 2019. ^ Coscarelli, Joe; Ryzik, Melena; Sisario, Ben (May 21, 2017). "Criminal investigation of Fyre". New York Times. ^ Rankin, Seija (April 28, 2017). "No Food, No Water, No Luxury Tents: The $12,000-Per-Ticket Disaster That Was the Short-Lived Fyre Festival". eonline.com. ^ Ohlheiser, Abby (April 28, 2017). "The complete disaster of Fyre Festival played out on social media for all to see; 'NOT MY FAULT' says organizer Ja Rule". Washington Post. ^ Lapowsky, Issie (April 28, 2017). "The Fyre Festival: The Fiasco We All Should Have Seen Coming". Wired. ^ "'Like a refugee camp': Chaos at Fyre Festival". IQ Magazine. Retrieved April 28, 2017. ^ Hooton, Christopher (April 28, 2017). "Fyre Festival: Attendees 'locked in airport with no food or water'". Retrieved April 29, 2017. ^ "How a Black Card for Millennials Went Down in Flames". Fortune. August 20, 2017. Retrieved January 20, 2019. ^ a b Wang, Amy B. (April 29, 2017). "The founder of the disastrous Fyre Festival has a history of overpromising 'elite' access". The Washington Post. Retrieved May 1, 2017. ^ a b Stone, Madeline (January 24, 2017). "Members of a private club for 'elite' millennials want their money back". Business Insider. Retrieved May 1, 2017. ^ a b Plaugic, Lizzie (April 28, 2017). "Ja Rule's music festival disaster is a good reminder not to trust Instagram sponcon". The Verge. Retrieved May 1, 2017. ^ Frier, Sarah (August 5, 2016). "FTC to Crack Down on Paid Celebrity Posts That Aren't Clear Ads". Businessweek. Retrieved May 1, 2017. ^ "Bella Hadid Apologized for the Fyre Festival, Kind Of". Vanity Fair. ^ Delgado, Sara. "Hailey Bieber Donated Her Fyre Festival Promotion Money To Charity". British Vogue. ^ "Fyre Festival: When a $12,000 luxury festival in paradise turns into chaos". CNN. April 28, 2017. ^ Jenkins, Aric (April 28, 2017). "Fyre Festival chaos in Exuma". Retrieved November 4, 2017. ^ O'Connor, Roisin (April 28, 2017). "A 'luxury festival' backed by celebrities descends into chaos as one guest calls it 'Rich Kids of Instagram meets Lord of the Flies'". The Independent. Retrieved April 29, 2017. ^ Wanshel, Elyse (April 28, 2017). "Fyre Festival, Which Cost Thousands Per Ticket, Devolves Into Giant Mess". Huffington Post. Retrieved April 29, 2017. ^ White, Adam; Krol, Charlotte. "'Rich kids of Instagram meets Hunger Games': Guests at luxury Fyre Festival where tickets cost $12,000 'mugged, stranded and hungry'". The Daily Telegraph. Retrieved April 29, 2017. ^ Deerwester, Jayme. "Fyre Festival: From rich-kid party to national joke in one day". USA Today. Retrieved April 29, 2017. ^ "'Luxury' Fyre Festival is cancelled with ticket-holders still stranded in Bahamas". BBC News. Retrieved April 29, 2017. ^ Moore, Sam (May 2, 2017). "Fyre Festival offers ticketholders choice between full refund or VIP tickets to next year's festival". NME. Retrieved May 3, 2017. ^ "FYRE Festival FAQ". Archived from fyrefestival.com as of May 17, 2017. Retrieved March 1, 2019. ^ Pearce, Sheldon; Monroe, Jazz (May 1, 2017). "Fyre Festival Hit With $100 Million Lawsuit". Pitchfork. Condé Nast. Retrieved May 1, 2017. ^ Parisi, Paula (May 1, 2017). "Mark Geragos Files $100 Million Suit Against Fyre Festival". Variety. Retrieved May 3, 2017. ^ Chapple, Jon. "Lawyers seeking big wins over Fyre Festival woes". IQ Magazine. Retrieved May 3, 2017. ^ Meiselas, Ben [@meiselasb] (May 2, 2017). "On April 28, 2017 as #Fyre attendees tried to warn others, #Fyre lawyers were sending cease and desist letters to whistleblowers! #fyrefraud" (Tweet). Retrieved May 3, 2017 – via Twitter. ^ a b Mosendz, Polly [@polly] (May 2, 2017). "Interesting: The second Fyre Festival lawsuit zings influencers who were paid to hype the event but didn't disclose it, per FTC standards" (Tweet). Retrieved May 3, 2017 – via Twitter. ^ Cullins, Ashley (May 2, 2017). "Fyre Festival Debacle Sparks Another Class Action Lawsuit". The Hollywood Reporter. Retrieved May 3, 2017. ^ Hogan, Marc (May 4, 2017). "Fyre Festival Hit With Third Lawsuit". Pitchfork. Condé Nast. Retrieved May 5, 2017. ^ Kreps, Daniel (May 5, 2017). "Fyre Festival Organizers Hit With Two More Lawsuits". Rolling Stone. Retrieved May 5, 2017. ^ Hogan, Marc (May 8, 2017). "Fyre Threatened to Sue Twitter Critics for Potentially Inciting Riots, Sixth Lawsuit Claims". Pitchfork. Condé Nast. Retrieved May 8, 2017. ^ Hogan, Marc (May 10, 2017). "Fyre Sold VIP Passes After Festival Was Canceled, Seventh Lawsuit Claims". Pitchfork. Condé Nast. Retrieved May 10, 2017. ^ Blistein, Jon (May 16, 2017). "Ticket Vendor Tablelist Sues Fyre Festival Organizers for $3.5 Million". Rolling Stone. Retrieved May 17, 2017. ^ Aswad, Jem (July 3, 2018). "Two Fyre Festival Attendees Awarded $5 Million in Damages". Variety. Retrieved July 4, 2018. ^ Ryzik, Melena; Coscarelli, Joe; Sisario, Ben (May 21, 2017). "In Wreckage of the Fyre Festival, Fury, Lawsuits and an Inquiry". The New York Times. ISSN 0362-4331. Retrieved May 22, 2017. ^ "William McFarland Pleads Guilty In Manhattan Federal Court To Defrauding Investors And A Ticket Vendor Of Over $26 Million". justice.gov. Retrieved March 7, 2018. ^ Moynihan, Colin (March 6, 2018). "Organizer of Failed Fyre Festival Pleads Guilty to Fraud". The New York Times. ISSN 0362-4331. Retrieved March 7, 2018. ^ "SEC.gov | SEC Charges Failed Fyre Festival Founder and Others With $27.4 Million Offering Fraud". sec.gov. Retrieved July 28, 2018. ^ Nolfi, Joey (January 14, 2019). "Hulu premieres Fyre Festival documentary with Billy McFarland interview four days before Netflix's". Entertainment Weekly. Retrieved January 14, 2019. ^ "Fyre Fraud". Rotten Tomatoes. Fandango. Retrieved January 28, 2019. ^ "Fyre Fraud". Metacritic. CBS Interactive. Retrieved January 24, 2019.